Benji: Off the Leash! (2004) – What's New on Netflix Canada Today! Three unlikely, unsuspecting souls who come face-to-face with that moment in their lives when they must stand and be counted. For Sheldon, it’s difficult because he doesn’t appear to be the brightest guy in the world (although he might be the funniest). For Colby, it’s even more difficult because he’s only 14 years old, and up against enormous odds. 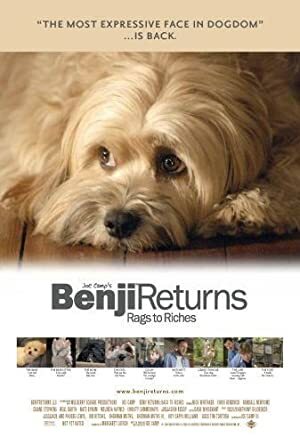 For Benji, it’s almost impossible–because, after all, he’s just a dog, lost and alone, with nothing but a belligerent bird and a bungling stray mutt to help. A band of unlikely comrades, brought together by the least likely of the bunch, for a common, courageous purpose. Things will change. Lives will be saved. Because Benji is off the leash!